When it comes to questions about man and the environment, I don't want to be a chicken running around all in alarm, as if my head had just been cut off and the end is near. I constantly stand amazed by the amazing human ingenuity, ability and willingness to be troubled enough to respond to dangers creatively. Neither do I want to be an ostrich with my head buried in the sand. For I see the effects of man's work, defiance and shortsighted greed in the scars on a landscape and the haze of smog over our cities. I am a human being, faced with large tasks, real wounds and a challenge to seek justice, to have mercy and to walk humbly with my Lord. I exist in a real world, with real problems and am faced with real options of how to deal with the tasks. We make a difference in both directions, because God created us into a real context of other things and because he gave us dominion. Dominion means, that through our choices, both good and bad, results will flow into the external world. Our choices should be moral, but there is no way to avoid our influence on the world even then. There is no way to describe the world as smooth, same and undisturbed ever! Our existence as human beings already means we are a weight in the world around us. We matter. In addition we cause changes by our actions and creations. But then every rock in the creek, every tree in the forest, every cow in the field and every atom in relation to its neighboring atom also matters. Nothing exists in isolation. Everything and everybody has an effect on neighbors in the system. Creation, nature, man relate in all their parts to the whole. A constant interplay resulting in change and instability exists within any system. Ours is at times described in terms of a 'oneness' of the earth, implying a steady state, a fundamental harmony. Yet, the wind and the waves, the water and the shore, carbon dioxide and sunlight, the feeding cycle itself all result in the world not remaining the same, but changing each moment. The ecologist Daniel B. Botkin describes this as "discordant harmonies in nature." Man and nature live in the world together. There is not 'man' and then also 'nature', but a world of man and nature. God created both to exist in instability, for his creation is open, unfinished like a garden to be worked in and to be enjoyed. Both before the Fall, when creation was good, and after the Fall, when sin and its results bore painful consequences, we observe a dynamic change in Being (everything that "is") through work, creativity and effort, as well as in chemical and physical processes. Therefore we are neither faced with a static nature mechanism nor with man being alien to nature. One can also not speak of a fixed and continuous system 'in support of life', which follows some subtle 'earth wisdom' or represents some organic, self-producing vision of nature until evil Western man appears. Nor is human knowledge and activity an opposition to such a system. Rather we find a world of interlocking pieces, to which God and man can add original causes through creative activity. God created a world of divers, interacting pieces, in which nature itself would be subject to change. Breeding produces new apples and the wind and waves alter shorelines. All chemical and physical processes in nature lead through conflict and change to new situations. It is a part of a dynamic, changing, unsteady world full of surprises. It is an evidence of God creating an unfinished, yet lawful universe. Even without sin the world would not have remained the same it was on the days of creation. When we hear about damage to the environment today, human beings many times are singled out as the sole cause of harmful effects, thereby disturbing the system. We drink and pollute water, we eat and rid ourselves of waste, we occupy space otherwise used by trees or animals. We turn over the soil, dig and build. Such accusations are specifically raised against Western man, who exercises real dominion in changing the face of the world to make it more inhabitable, more convenient and to protect himself against catastrophes. This effort to make life easier by replacing human energy with mechanical energy is but an additional layer in the push and shove of nature itself. But Western man, influenced by the Bible's view, did not create an unsteady world of interruptions. Nature, with or without man, has never been static. All things and people effectively bump into each other. Such is our world. The picture of cosmic harmony remains fiction. The existence of an eternal person, God, and with people made in his image there never was a stable, steady and changeless nature. Man is uniquely fitted to be a part of that world together with nature. In addition he is created to give it shape and definition, to fill the earth and to discover its wealth, to observe problems and seek solutions. The world is also a richer, better place, because of man's existence. We are different from nature in our ability to think, reflect, to know and to weigh what is good, right, and true, or their opposites. Man alone reflects on his past and future, on the meaning of the present and wonders about obligations and duties to life and the preservation of it. In this way we are a most valuable addition to a senseless nature. While man is capable of becoming a problem, when that ability is misused, man 'qua man' is also able to be part of a solution. The human being is able to effect the world around him through ideas, work and (ir)responsible moves. Views like biocentrism or even environmentalism claim to describe a natural state of the world. But they do not, for they leave out the activity of man. Even ecology, a term first used by Ernst Haeckel in 1866 in order to describe a vitalist biological monism, does not describe nature, but only a human idea about a good life in the household called earth. While many panic about man's place in the world, wishing to diminish the appointment to be God's apprentice, the Biblical mandate for man is to exercise dominion, to subdue the earth, to multiply and to work, to name, and to harvest from, nature. The Bible's view is strongly anthropocentric. Man is called to create, rule, shape and enjoy the face of creation, and to give an account at judgment. Without contradiction it is also theocentric, in that God, in whose image Man was made in the first place (Gen 1:27f), is to be honored as the creator of a world for the purpose of human dominion. It is ironic that the critics of such a high and dominant view of man rooted in the Biblical view of things are also anthropocentric. 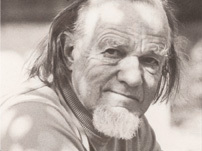 Lynn White, who with the essay "The Historical Roots of our Ecological Crisis" gave rise to Dr. Schaeffer's response in "Pollution and the Death of Man", is concerned precisely because of his being human. Have you noticed that any concern for nature, any fear of extinction, any concern for endangered species come only from humans? They have not been made in the image of nature, but of the God of the Bible! Nature sheds no tear, does not complain, seeks no solution. A non-Christian perspective would lead to non-interference (as in Buddhism), a passive embrace of nature-as-she-goes at any time or events as the will of god. In the West, a rising cynicism about Christianity and an embrace by Christians of primitive life as a spiritual variety of romanticism fail to see that it is precisely the concern for survival and life that has encouraged us in the European thought world to grow more food, to seek cleaner water and to turn a log of wood into a violin. It gave rise to the willingness to recognize, and to alert others to real problems rather than to accept the status quo in a tradition-bound manner. Christianity made us more critical and think more responsibly. When we are concerned about nature, we should also be concerned not to lose the gift and moral presence, which man has been to nature. Through man alone improvements on nature's ways have been brought, invented and explored. Horrible as the damage can be, the effort to care, to subdue and to be stewards are equally remarkable. They stand out more, because they express creativity in an otherwise impersonal universe. I find human beings to be more personal neighbors than autumn foliage or bears in the wild. "Even Dr. Weil's homilies are wrong (‘Andrew Weil, Shaman, MD.' by Larissa MacFarquhar, Aug 24): " the body can heal itself… we have all seen scabs form on a cut, but we tend to forget it, and so we turn to drugs and surgery." But as any dermatologist knows once the bleeding has stopped, a scab impedes the granulation and re-epithelialization required for healing. Faster healing and less scarring can be achieved by gently removing the scab by soaking, then keeping the area moist with an antibacterial ointment and an artificial semi-occlusive dressing. How do we know this? Because thoughtful researchers interested in healing the wounded made the effort to compare , side by side, healing with and without the scab. This is how therapies advance. The dogma that "natural" approaches are inherently superior conceals a hostility towards one of nature's true wonders, the human mind, which has combined empathy with logic and hard work to produce life-saving medicines, medical devices and surgical procedures." In nature all parts attract and repel. Natural processes are conflicts, which result in bumps, changes and effects. Whether they are improvements only a human being under God can judge. The uniqueness of man is the capability to observe and to reflect and to author causes with their own subsequent effects. Without always or only being pushed ourselves by nature we originate actions according to our moral sense and developed skill. We can not change the fact, and it is not immoral, that our lives effect the world around us. Everything does that in nature. The animal that eats the grass makes it unavailable for the next one. What makes human beings more than a fact of nature is the ability to sow grass, to plan ahead, to recognize problems, to anticipate results and, when good and wise, to prevent them from occurring. The creative aspects make human beings unique, not his or her mere existence in a system of things. It is in the nature of nature that nothing will ever remain the same. But it is in the nature of the human being that real change can come purposefully through moral (and immoral) choice, creativity and intellectual discernment. Those who see man as a problem in the world, somehow want him to become something less than man, more humble and submissive. Primitive man is held up as a model. But nature is just as indifferent, life just as cruel and death just as real to them. And primitive man, precisely because he has the habit of living close to nature and to take his cues from her, is often far more cruel, resigned to nature's cruel ways and without a call from the God of the Bible to discern what he should do. Only the human being, and there more among those formed by Biblical teaching than shapers of other 'cultures', knows an obligation to life against death. From that obligation he will complain against sin, lies and death. He will make critical choices informed by the word of God in heaven and the teachings of Jesus Christ. Prescriptions for life come from the Bible, not from an presumably divine, but senseless nature. The Bible proposed animal to human sacrifice as a model for substitution. Abraham dug wells for water rather than living with what the surface soil provided. The word of God contains spiritual and material encouragement. Iron shall be found under every hill and copper under every mountain. The Bible encourages a critical evaluation of leadership by warning of false prophets, immoral priests and wicked kings. It demands moral rather than political judgments. We are invited to a 'harmony' with God, that is initially intellectual, a question of knowledge, discernment and moral absolutes in order to keep us from consenting to a marriage to what is an agonizingly painful, indifferent and cyclical nature. Such harmony demands a decision for Jehovah and against Ba'al throughout the Old Testament. God alone is the moral and personal creator, who explains us as people. He created us to live, and death, in any of its ugly forms, is an enemy. The God of the Bible has promised to give wisdom and courage to continue work in creation, to correct what is broken and to make the earth inhabitable (Is 45:18) Nature is not now our mother, but a precious fellow creation. Though without personality, she reflects in many parts still the personality of the Maker. We see nature not as a museum piece to be preserved in a former state, but as the setting for moral and dynamic creativity in the world. To do justice, to have mercy and to walk humbly with your Lord should be expressed also in connection with our attitude towards life in the world, in which we are called to be God's apprentice. That includes having dominion over nature in such a way, that the life of man in the world is struggled for 'even by the sweat of the brow'. In the film "From Mao to Mozart" Isaac Stern records scenes from the time of his Fulbright exchange in China. You meet lovely violin students and professors in conversation and in concerts with the famous violinist. The film opens with people in China turned into precision machines through training. There are Ping-Pong players, pageants of the crowd in a stadium and clear and ultra precise notes played on a violin. But gradually Stern is able to awaken again the human being to grace and beauty in expression of individual souls. One scene with a fifteen year old girl stands out vividly. She performed, every note in place, no discord, no mistake. Mr. Stern praises her highly for her precision, but then adds that she has not told him anything about her feelings, her ideas, her emotions. She has not yet communicated anything! The girl had done so well........as was to be expected from a precision instrument. But she had not shown her personality, her soul. She had made organized noise, but not music. The point of the film is that we need to be brought from Mao, whose materialist views transformed people into machines and whose revolution suppressed individuals, to Mozart, who, in the European tradition and its Biblical roots, expressed creativity, inventiveness, emotions and individuality. The lack of such an outlook on persons is a strong contributing factor to the dilemma we face in both the present Asian economic crisis and in the discussion about civil society. We have failed in the West to speak, teach and insist on the spiritual and intellectual foundations in the Bible of both the market economy and democracy. We have passed on the idea, that all people will act the same way, when the legal structures and the personal opportunities become the same around the world. We have failed to recognize that different worlds of ideas are formative in the workings of society, markets and political structures. We have neglected the realization that what made the West different from other parts of the world is precisely the moral/cultural framework taught from the Bible. Different ideas about God and man, work and accountability, law and power, the individual and community, even life and death themselves, have given shape to different ways of ordering life, creating responsibilities and distributing freedoms. Without the framework of the Biblical view of things the place of man will sooner or later look bleak. Without shared ways of seeing life, the results of a Christian view will not suffice to sustain life without embracing a Christian view. Given natural disasters, economic downturns, corruption and an uneducated, though highly skilled public will not be able to courageously find ways to continue. William Pfaff brings this to light in "To Each National Culture its own form of Capitalism" (Intern'l Herald Tribune, December 2, 1997). Democracy and entrepreneurship are not the automatic result of the demise of authoritarianism or of a centrally controlled economy.
" The fallacy is to assume that all that is necessary to create a modern industrial economy is deregulation. Cultural and political factors are considered irrelevant to economics or subordinate to economic forces. This is profoundly untrue. It is the national culture that determines that an economy assumes. Asia's crash follows from the imposition of a Western-market model on politico-economic cultures in which primacy has traditionally been given to the collective over the individual, where social conformism is a positive value, people rely most on family and clan relations and government is interventionist and characterized by patron-client relationships.
" The mistake lies in our thinking that people act, work and live in the same way, because they are people. But we are guided by our religious, moral/cultural convictions and traditions. "Asian economies have been tumbling because their traditional forms of economic and political relationships have produced, by Western standards, a corrupt and speculative form of economic expansion unsustainable in a globalized economy. Once the errant investments motivated by these relationships began to fail, investors at home and abroad either pulled out or speculated against Asian currencies and markets." The concerns about uncivil democracies runs on a parallel track. All the indications of democratic institutions may be present (free elections, representative government, the rule of law, free education and media), yet the heart has been removed. For these institutions serve a population largely untrained in moral, intellectual and cultural discernment. Where thought is controlled by nationalism, ethnic identities, gender-specific truth and unreflected religious loyalties there is in fact no freedom, no room for responsibility and no thought about the difference between merely lawful and legitimate government. We should remember the support we received from Max Weber and R.H. Tawney, who "argued that capitalism was a product of the cultural and religious nature of Western society." They understood the intimate relationship....between the aesthetic ethical teaching of Calvinism and the development of the institutions of European Capitalism. The rise of European wealth and institutions from a Biblical perspective protects us against too much social abuse and vulgar display of wealth and success. Restraints were put in place by a powerful code of Protestant convictions which said that gaining wealth was "connected to virtue, but was also a trust....The belief in the moral obligations of wealth persisted into the 1950s, expressed in the notion of corporate citizenship and a belief that companies had obligations to all their "stakeholders" - labor and the community, as well as their stockholders." That has weakened considerably through the loss of personal and national morality by means of privatizing Christianity. For despite of the fact that there are greater religious observance and belief in and reference to God, more Bible studies and home groups in the US than in any other industrialized country. "But religion has lost virtually all serious cultural and economic influence." The separation of the state from the teaching of the church, but also the conversion of the public to forms of hedonist individualism have contributed to this. "Individual freedom, even when destructive to common life and community, and the aim of individual self-realization have become the dominating themes in American life." Personal testimonies are little more than opinions in the current intellectual climate. News of the world express what is felt as news-worthy. Self-affirmation and self-praise have replaced the critical evaluation from God, history and the real world. " Religion itself has tended to become therapeutic rather than redemptive." Current American conservatism is largely the "economic expression of this change. American business functions with a principled disregard for individual claims on social justice and with a firm belief in a new version of economic determinism, that the market will solve all problems, including those of justice and equity.
" "This could be called a dumbed-down American inversion of Marxism, but it has become the national economic ethic. It has been exported to post-communist Russia and Eastern Europe, and to Asia." The implications of this are alarming, for capitalism and democracy require as a foundation an educated, personally responsible and moral public. These qualities used to be nurtured by the teaching of the Bible. That well has been dried up, both by neglect at the hands of the secularist, and by design at the hands of many Christians, who have reduced the Bible to a quarry for personal verses, personal guidance and personal perspectives. The thunderous propositions of "Thus saith the Lord", formerly the roaring of the lion from Judah, have been reduced to personal faith in a free society. Was Churchill wrong when he stood up to Hitler? Was Chamberlain more Christian in seemingly forgiving the annexation of Sudetenland, the occupation of Prague in 1938? Should slavery be met with forgiveness? Should the child molester be graciously forgiven? Frequently I was asked in Russia, whether a Christian would have to forgive Stalin up front. When faced with obvious and historic crimes, the recent trend towards granting unrequested forgiveness becomes highly questionable. For it quickly becomes a way to undermine the very notion of justice, guilt and repentance. Yet the view is growing that the Bible demands such forgiveness, unasked for, gratuitous, as a check on our humility and as a measure of our spirituality. More books appear on that issue. Some cite personal experiences, 'where it worked.' They also quote Luke 23:43 "Forgive them for they know not what they are doing." Perhaps the most recent illustration of this was brought to us, when Billy Graham declared, concerning the suspicion of wrong doing by the president: " I forgive (Clinton)......," thereby wiping out guilt, before it was established and, should it be established later, the culprit would repent, grieve or apologize. In fact it even suggests guilt, covered by forgiveness granted. Forgiveness in indeed a specific Biblical call. There is no mercy in Eastern religions or evidence of it in Islam. In the East you lose face at once and never receive it back. In Islam Allah is praised for being merciful, but there is no evidence of it in history. Forgiveness is possible in the Bible, because God can be just (uphold his moral character) and the justifier, since the punishment is not overlooked, but born by his own son as our substitute. Forgiveness is not an oversight or a wiping out of wrong, but the result of payment by someone other than the sinner. The judge of the universe takes the judgment himself. I receive my face again through God's moral action in history. For that reasons, the Psalmist (130:4) says that with God there is mercy and forgiveness. We seek forgiveness, because God has found a way to be both just and have us live. There should not be a limit to forgiveness: seven times seventy times is a good measure of 'without measure'. "Forgive each other" (Eph 4:32), because God forgives our sin (Mtt 6:12). We should not return evil for evil (1.Peter 3:9), but rather overcome evil with good (Romans 12:21). When we are cursed, we should bless(1. Cor. 4:12) and we bless those who persecute us(Romans 12:14). Yet such forgiveness follows God's pattern. God odes not shove sins under the carpet, but pays for them. Forgiveness from God is possible because of the shedding of Christ's blood (Eph 1:7). There is no other way. For, it can not be done "without the shedding of blood" (Heb 9:22). Only in him (Christ) is forgiveness of sin (Col 1:14), because of the price paid, rather than because of some unmotivated love or a desire on the part of God to get on with life. Now this is rather crucial. The Bible makes plain that we are under the wrath of God, because of sin. It expresses the fact that we live in a moral universe, in which all actions bring with them moral consequences. There is no other way God could forgive us but through the substitutionary work of Christ. God could not have forgiven us the way we are now asked to forgive our father, president, neighbor or anyone else. Without the price being paid for guilt, the moral structure itself falls apart and choices are treated as if they had no consequences, made no differences. "There is always forgiveness...." La'di'da! We are forgiven before God, when we confess and repent. There is no other way. If we are then called to forgive as our heavenly father forgives, it must also include repentance of the wrong committed. When there is no repentance, there can not be forgiveness. Acts 3:17 shows how Peter speaks about the sins committed in ignorance by Jewish leaders and then calls them to repentance! Paul speaks of his acts in ignorance, but forgiveness came through mercy, when he repented and turned to the living God (1.Timothy 1:13). There is judgment for sin, adjusted to the degree of knowledge of the sinner (Romans 2:1-6; Luke 12:47,48; John 15:22-24; 19:11), but never just forgiveness. How then do we look at the two passages, in which Stephen (Acts 7:60) and Jesus (Luke 23:34) ask the Father for forgiveness of sinners? In neither case is there any indication that forgiveness was actually granted by the Father. Though we can not argue from silence either way, I would suggest, in light of the above texts, that this is rather a keeping of the command that we should love our enemies, pray for them, to do good to those who hate us and to bless those who curse us. To the extend to which things were done in ignorance, forgiveness would be granted. But not for the rest, according to God's holy character. Now, even to love your enemy does not suggest that you should approve of him, forgive him and like him. If and when the enemy repents and changes, these desires would become realities. But not until such times. The loved enemy remains an enemy. I still have to lock my house, be on my guard and not have any dealings with him. I should pray, weep and long for him. I should seek ways to diminish his animosity. But only the enemy can choose to repent and respond. Until he has done that, he is under judgment, untrustworthy, and a danger. Perhaps the longing to get on with life, to avoid revenge, pain and disappointment lies behind an "easy forgiveness." But the Christian has a way without weakening law, justice and mercy in the process. There will be a judgment in history before the living God. I don't have to insist on judgment being carried out now. I can give of my freedom and keep my house locked. I can go on with my life without resolution, because there is a God who will judge justly in history. Such a mentality and action should never be confused with forgiveness. Forgiveness involves payment for crimes committed, it involves sorrow, repentance and a substitute, who can set me free. That substitute is neither the passage of time nor my desire for an easier life. Give up moral judgment and inhumanity will be your invited guest. wx°€Ž€€€24; 19:11), but never just forgiveness. How then do we look at the two passages, in which Stephen (Acts 7:60) and Jesus (Luke 23:34) ask the Father for forgiveness of sinners?